Concierge medicine has been a growing trend since the 1990s. It goes by many different names: Direct Primary Care, Personal Physician, Concierge Medicine, or Retainer Medicine. The most common characteristic is the requirement of a monthly/annual fee, or “retainer”, in return for more time with the physician and/or better accessibility. This is accomplished by limiting the practice to a smaller number of patients (traditional primary care models average 3,000 patients per physician). Where Concierge practices differ is in what additional services the patient receives for their retainer. Some options include same day and extended visits, house calls, nicer spa-like waiting rooms, coordination with specialists, and pharmacy medication pick-up & drop off. Changes in our healthcare system have made it difficult for patients to receive the medical attention and services they deserve. As more Americans become insured through the Affordable Care Act more people are filling medical appointments. Coupled with the current trend in medical school graduates toward specialized fields (Dermatology, Cardiology, etc.) and away from primary care, the lack of Primary Care Physicians continues to grow. This poor supply of Primary Care Physicians combined with the high demand from patients has caused prolonged wait-time for an appointment, commonly up to 6 months wait for a physical exam. The concierge model of medical care has been common in other developed countries that have had universal health care for years (Canada, England, etc. ), as patients demand better access to quality care. By limiting patient panel size, concierge practices provide less delay for appointments and longer appointment durations. Concierge Medicine is too expensive. Reality: Many forms of concierge medicine cost around $150 per month. This is less than some cell phone plans, cable TV, a tobacco addiction, and even a daily coffee habit. Costs of membership can range from $1,800 per year to $18,000 per year. The cost of concierge medicine depends upon the services that are offered by the individual doctor. Concierge Medicine is pointless, as I still need health insurance. Reality: Medical insurance is necessary for the unforeseen medical emergency or specialist care. However, adequate primary care can minimize many of these needs. Therefore, by combining better access to primary care with a high-deductible health insurance plan and a Health Savings Account the total cost of medical care can actually be lower than the traditional health insurance plan alone. Concierge Doctors are greedy and don’t care for the underprivileged. Reality: On average, a concierge physician earns the equivalent salary of a specialist (surgeon, cardiologist, dermatologist, etc.). In addition, the majority of concierge doctors do a significant amount of charity work, often seeing about 10 percent of their patients free-of-charge. Concierge medicine simply puts the incomes of internists and family practitioners on par with their colleagues. 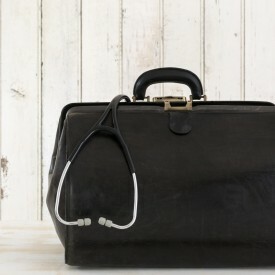 Concierge Medicine will only worsen the shortage of primary care doctors. Reality: While true, to provide better accessibility concierge doctors must decrease the size of their practices. However, there has been a shortage of primary care doctors for the past 20 years. The reason the shortage exists is due to a broken health care system. Current medical school graduates matriculate with an average student debt of $180,000, and see the specialties (surgery, cardiology, dermatology, etc.) earning 3 to 4 times the income of the primary care physicians. Understandably, young doctors are therefore choosing the greater income potential path of the specialist, and refusing the path of their primary care mentors. It is our current broken system that has caused a shortage of primary care doctors. As the aging population and the number of insured patients continues to grow, this shortage will only get worse. The only way to increase the number of qualified primary care doctors is to make the profession more attractive, both from a professional and a financial perspective. Reality: Most doctors who practice traditional medicine in our insurance industry led system have an obvious conflict of interest. The physician signs a contract with an HMO or insurance company in exchange for patient referrals from these companies. Frequently, the insurance company will not pay for certain tests or treatment options for the patient, and therefore requires the physician to limit or ration the care his/her patients receive. This is done to maximize profits for the insurance companies, their Wall Street shareholders and their CEOs. If the physician does not ration their care or advice the insurance company will stop contracting with him/her and the physician will no longer receive referrals from that company. This insurance industry led system is intrinsically unethical. Concierge medicine, by contrast, has no third-party conflicts. Patients pay their doctor directly for his/her services in the concierge model. The doctor remains the advocate for one party and one party only: the patient. The doctor has no allegiance to or conflicts with any other person, company, or industry.